Providing affordable, year-round comfort for your home or business is our goal at Mickley Plumbing & Heating. 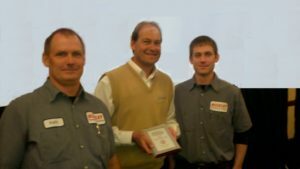 For years, we’ve been your premier plumbing, heating and cooling contractor in Danville, OH, serving the entire Knox County area with quality products and top-notch service. We’re proud to sell and install quality Rheem HVAC products while servicing all types and brands of equipment. Whether your AC unit has quit working, you’ve got clogged drain lines, or your furnace needs a tune-up or replacing, we have you covered. You can count on our experienced technicians for expert service and professional installation for a variety of needs.